Cloud backups provide top-notch peace of mind against disk corruption and server crashes with world class remote data centers. Your WordPress backups are secured remotely, eliminating the threat of losing data with a compromised hosting plan, and can be easily redeployed to the original or new hosts. Furthermore, with our maintenance plan you’ll no longer have to worry about your site being out of date. Nethe.rs Web and Media offers Weekly Updates and Backups for an affordable price. Nethe.rs will handle your plugin and core updates. Additionally, with backups never worry about your data again. This solution is perfect for small businesses and low-volume e-commerce sites. Higher volume e-commerce sites should make use of our cloud-secured, daily backup solution. 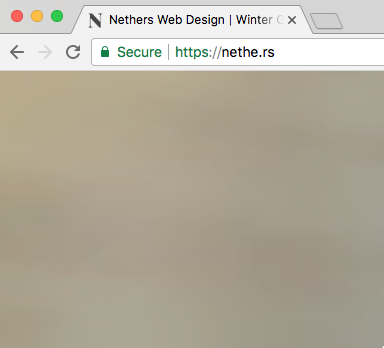 Paired with our Nethe.rs WordPress Security solution, small business owners can take back their sleepless nights and rest assured knowing their site is protected. The Cloud Updates included with this purchase retains remote, secured storage of your last (4) four weekly backups; this price includes (1) one small business site less than 1 GB. Larger sites can be accommodated, contact us for pricing. If you haven’t contacted us in advance, Nethe.rs will contact you regarding your domain details and account information after purchase. Purchaser must have administrative access to their WordPress site. This plan renews monthly and can be cancelled at any time.